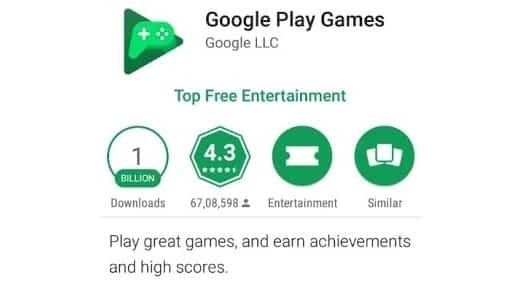 Google Play Game is the best game for playing. Games are more fun with the Google Play Games app. It is a very lightweight mobile app. Discover that game you just can’t put down, then challenge your friends and track your achievements. As you master more games, show off your skills in your gamer profile. Plus, you can pick up where you left off from any device. Play the world, anywhere in the world, all from one place. • Gamer profile: You can Create your custom Gamer ID, earn XP and level up as you master games across Google Play. Gamer ID will be unique for every user and will use when you play next time game. • Achievements & leaderboards: It is easy to complete challenges, earn awards and track them all straight from the app. Then, see how you stack up against other players. • Built-in Google games: Play PAC-MAN, Solitaire, and Cricket. You can play this game when you offline. • Arcade: Find something fun in our New, Trending and Editors’ Choice collections.